Body Interior Exterior Lighting Reviews on body interior exterior lighting for G vehicles. Many may think this topic is not worthy of review, but I bought a set of OEM floormats for my coupe from ebay shipper AM Autoparts. Fast shipping, OEM packaging and quality. I'm very happy. I had a set of these in my 06 Acura TL and loved them. Highly recommended. For the ladies, these mats will also protect your carpets from getting holes worn by your high-heeled shoes. I know this because my GF had a really nasty hole in her Honda Accord carpet just below the dead pedal footrest which was covered very nicely by the OEM mats. Last edited by dwb993; 02-17-2016 at 10:42 AM. I have a set of these in my '13 G37S sedan and they are great in the winter. 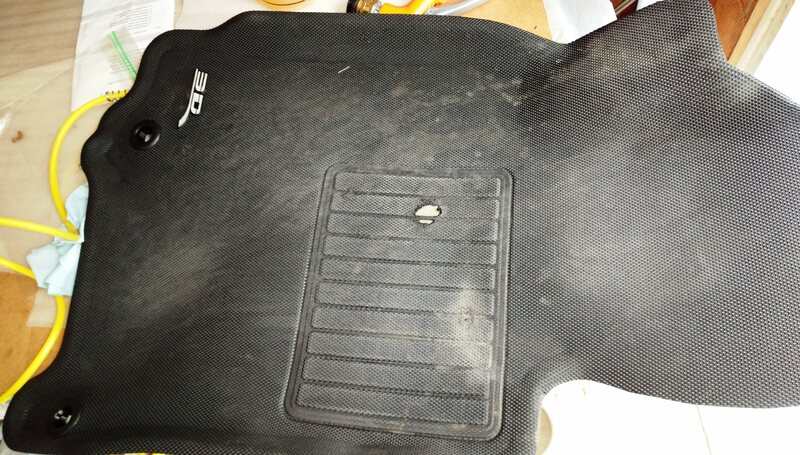 They also have nice deep channels to keep slush and water from moving around a lot compared to weathertech floor liners. Personally I found the OE all weather mats to be ok. They didn't last too long though, wore a hole in the driver side one. Mind you, I am male and don't wear heels. If I recall it was where the right foot rests. Have maxpider in now. Lasted about 3 years before starting to wear a hole in a similar spot. They replaced them under warranty. 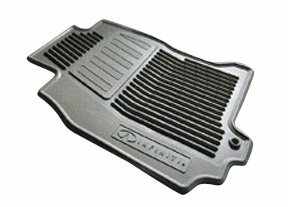 If someone wants something with deep channels, maybe check out the weathertech mats (if they offer them for this car). We have a set in our honda which is over 3 years old now and wearing well. Edit: Maybe I missed something. I don't swap mats in the car between seasons (like tires). That seems strange. I have had mine for about 3 years and I am not close to wearing a hole in any part of these mats. Are you sure you are not wearing heels? I had a set of weathertech mats in my 370Z and they did cover higher up on the sides, but they were very flat so slush and water sloshed around quite a bit compared to these oem mats. It wasn't a through hole, but elsewhere on the matt, the foot pad was starting to lift. @4DRZ Yes, that's the maxpider mat. The oe all season mats have probably been recycled into playground tiles.